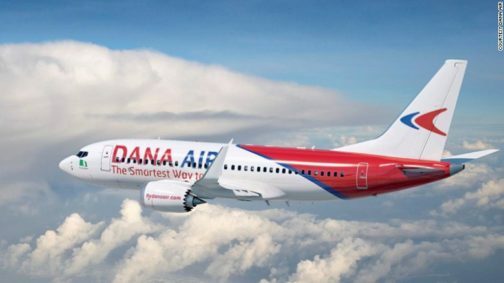 Dana Air has announced that it is partnering with the Nigerian Economic Summit Group (NESG) towards the success of the 24th Nigerian Economic Summit holding at the Transcorp Hilton Hotel, Abuja from 22nd to 23rd October 2018. This year's summit with the theme: Poverty to prosperity: Making Governance and Institutions Work, will provide a forum for policy makers and captains of industry from both private and public sectors of the Nigerian economy as well as academia, civil society organizations and development partners to interact and share thoughts on key issues and challenges facing the Nigerian economy. As airline partner of the 24th Nigerian Economic Summit, Dana Air is providing a special discount to guests and delegates to facilitate their transportation to the summit in Abuja. NES#24 is structured around five key pillars of inputs and outcomes that will serve as the summit's sub themes: Corruption and Rule of law, Effective Public Institutions, Sustainable Economic Opportunities, Human Development, Participation and Citizens' Rights. Other sessions will include: Effective Public Institutions, Sustainable Economic Opportunities, mobilization and Venture Networking. Having flown over 2.7 million passengers in the last 9 years of its operations, Dana Air is one of Nigeria's leading airlines reputed for its world-class in-flight service, innovative online products and services and unrivaled on time departures.